Since 1951, SRP has provided custom die-cutting services to companies in diverse industries—fashioning customer-specified materials into predefined shapes and sizes. 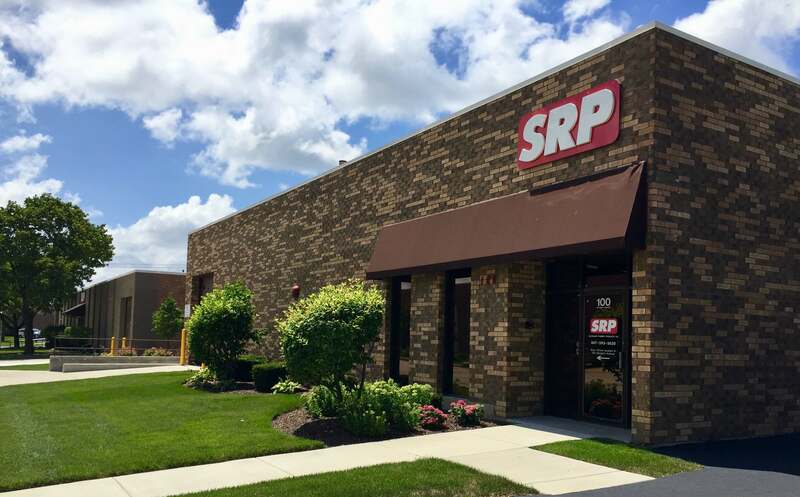 Standard Rubber Products Company (SRP) began as a vision on the West side of Chicago back in 1951. The company was founded with the goals of manufacturing the highest quality custom fabricated die-cut components and providing the best service possible. This promise has allowed the company to prosper for more than six decades. To meet the demands of a changing marketplace and growing economy over the years, we have expanded our manufacturing capabilities to be able to offer our customers more added value using state-of-the-art equipment. As we continue to upgrade and improve our equipment and processes, we are able to fulfill orders quicker and with cost effective advantages. In 2006, we opened a second facility in Zhuhai, China to further progress relationships with our customers and suppliers. This facility is 100% US owned and managed, and it allows us to provide global solutions in various markets never imagined in the beginning. We base our success off the relationships that we have built over the last 65 years, and will continue to do into the future. Being customer centric, we strive to provide a positive experience for each and every one of our customers. Creating strong loyalties and partnerships is very important to us. We do this by ensuring the quality and on time delivery of every order that leaves our building. As we enter our 3rd generation of ownership in the coming years, the same goals that began three generations ago continue today. Continuous improvement is necessary for growth and continued future success. As a family-owned company, we’re dedicated to the complete satisfaction of not only our customers, but our employees as well. Many of whom have dedicated decades of hard work to our company. We’ve created a positive environment that allows employees to think creatively, and work freely. The mission of SRP is to provide creative die-cut solutions coupled with unparalleled service to our customers. Through the continuous improvement of service, quality, and expertise, SRP’s vision is to be recognized as the leading converter and supplier of custom-fabricated products to all relevant world markets. Provide high-quality, cost effective flexible solutions. SRP has been ISO 9001 certified since 1994. In 2017, we updated our certification to ISO 9001:2015. This certification sets out the criteria for a quality management system, and is currently being used by over one million companies and organizations in over 170 countries. Using ISO 9001:2015 helps ensure that customers get consistent, high quality products and services, which in turn brings many business benefits. Through continuous improvements, SRP solidifies itself as an industry leader when it comes to quality. SRP only supplies products that contain conflict-free minerals, and our finished products comply with RoHS 2 directive 2011/65/EU. SRP also does not add any of the REACH-SVHC substances during our manufacture of any product. SRP have been proud members of the GFA (Gasket Fabricator’s Association) since it’s inception, and has provided many quality opportunities for our company. The GFA is a trade association of companies like SRP, which provide custom-fabricated components and services like gaskets, tapes, adhesives, polymers, die-cutting, laminating, converting, and more. The strong and ever-growing membership is comprised of companies of all sizes and offers regular, productive opportunities for us to network, share ideas, and support each another.